Silvia Pelissero a young and already very famous artist. She was born in Rome in 1991. Obviously, she is a happy and young lady. But, despite this fact, she had become famous for the whole world, as a talented artist. According to art critics, the paintings created by Silvia Pelissero are quite mature, despite her young age and work period. A young artist Silvia Pelissero is a nugget from Italy. A girl does not function under her name. 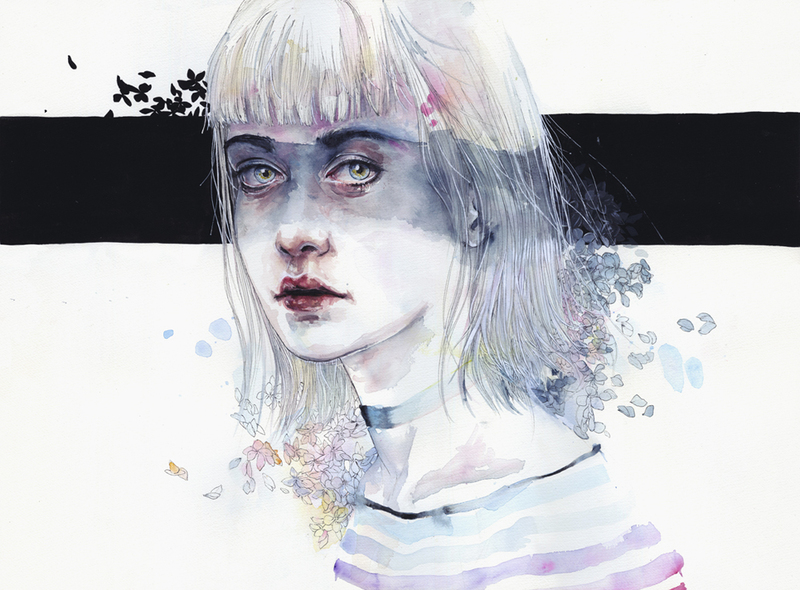 She signs all of her painting sith pseudonym Agnes-Cecile. The creative work of young Sylvia attracts attention with her emotionality, vision and a unique author’s style, which is beautifully expressed on the canvas. As you know, such qualities are inherent in the creative artworks of the adult and experienced artists. Watercolors are very light and expressive, Sylvia can feel this, and this makes her incredibly talented watercolor artists. Let’s have a look at her watercolor art – it seems that the images on the picture emerging from almost randomly scattered smears and amorphous streams. Silvia in likes her watercolor painting, but she also experiments with oil and acrylic paints, as well as ink and lacquer.